I actually have something to be very happy and grateful for today. I managed to get hold of some Beyonce tickets this morning for me and some friends. I don't know how I was so lucky, but I managed to get on straight away. I love Beyonce so much, and I must bring her up in conversation at least once a day. I feel really bad for everyone who didn't manage to get them, and I really, really hate ticket touts on eBay who sell the tickets for stupid amounts of money. It makes me so angry that there are genuine fans who are now being forced to pay stupid amounts of money because other people just want to make a bit of money. Anyway, moaning aside, I am very happy because I got some and I've been blasting Beyonce and Destiny's Child, all day and dancing around like a crazy person. 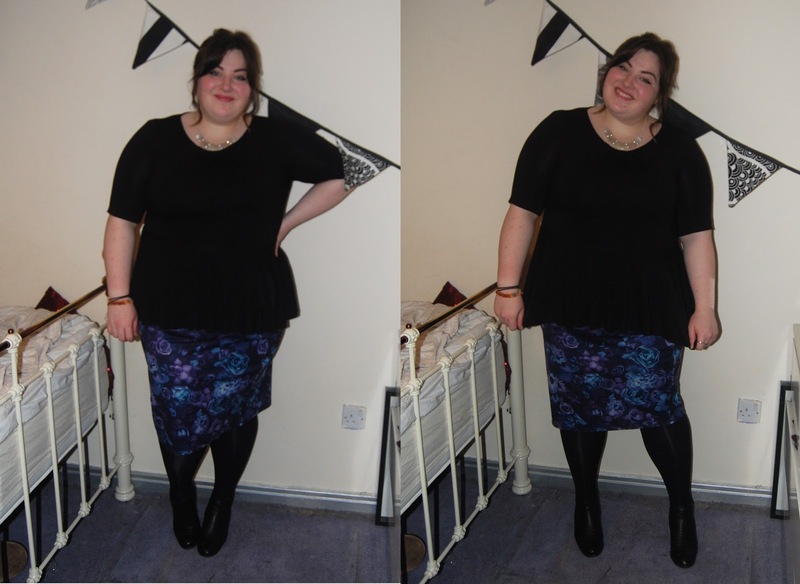 Another of my favourites is the pencil skirt trend that I cannot stop wearing. I love the midi trend in either dresses or skirts and think they're so so easy to wear and can be dressed up or down. I wore this a couple weeks ago with a jumper and boots, but here I made it a bit more work appropriate. 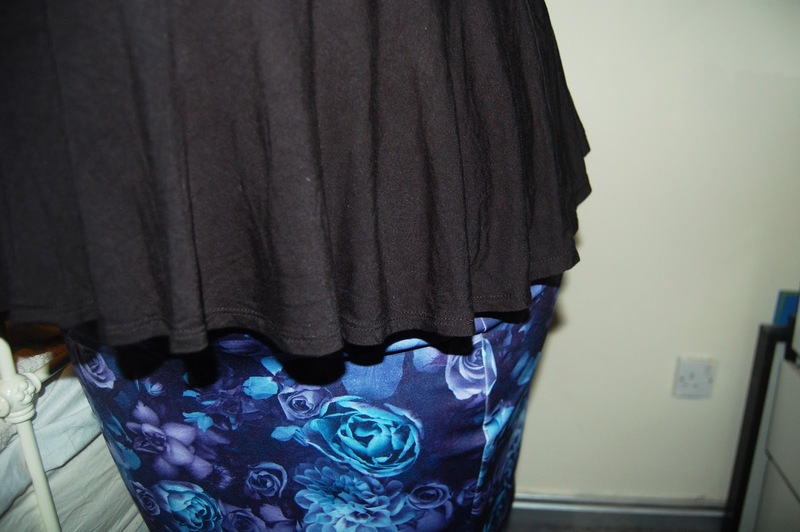 I wore this peplum top that I picked up in the January sales alongside the purple jumper and small shoe boots. 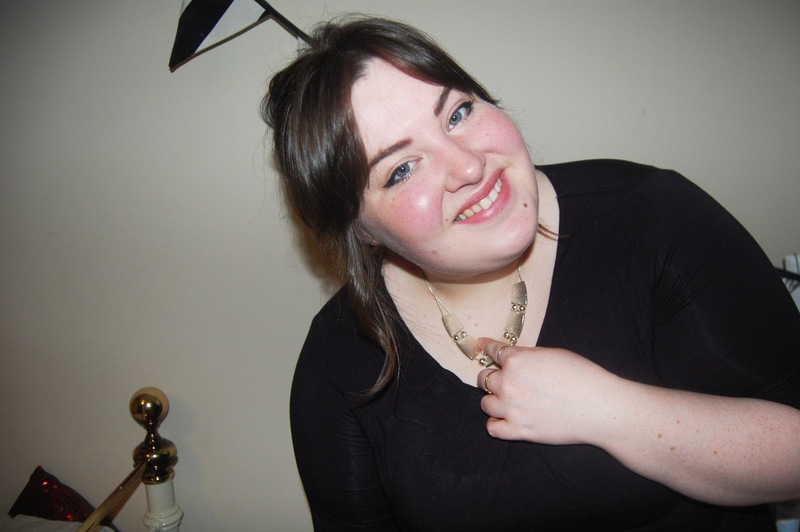 With a messy up do and dainty silver jewellery, I think it's smart enough for the office. I think it would look great with the pastel boucle jackets that seem to be everywhere on the highstreet at the moment. I hope everyone has a lovely weekend anyway! So in love with this skirt! It looks amazing on you!